This pop-up book documents everyday life in Sanfonzon Street in Kaohsiung in the south of Taiwan. The internationally renowned shopping street is a place famously marked by an overflow of Chinese New Year goods. In addition, visitors also find a vast amount of colourful, locally produced food and snacks. 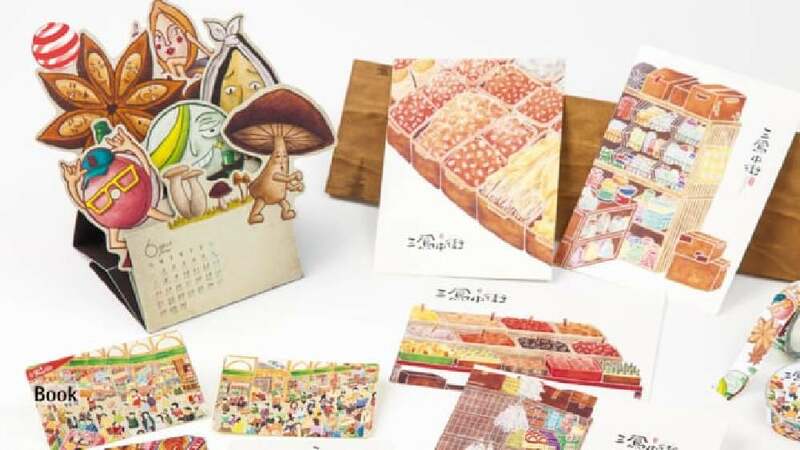 The pop-up book design was chosen to visualise the variety of products on offer and the uniqueness of this shopping street itself. Complemented by interactive games, the book presents inviting stories which the readers can discover and explore step by step. A range of typical products is highlighted to promote and show the history and the industrial development of Sanfonzon Street. The aim of the book is to preserve the shopping street as a special place and bring forth new ideas for its future. Showing an appealing design, this book visualises the world of Sanfonzon Street in Taiwan. It wants to be discovered in a playful way and provides room for the readers to develop their own, individual interpretation. The depiction of products, people and buildings is based on a refined approach and the colour scheme follows a well-balanced concept. All the individual elements of the book merge ultimately into one consistent design.